Many runners and avid exercisers love to push their limits. Athletes will train harder or longer to reach a new personal best without always taking the necessary time to rest and recover. Unfortunately, this strategy, also known as “Overtraining Syndrome”, often backfires and leads to poor performance or injury. Signs of Overtraining Syndrome include fatigue, headaches, lack of motivation, insomnia, general aches and pains, an increase in injuries, plateaus, decreased fitness and chronic colds. Some of these symptoms also come with the common cold, so a few days of rest might get you back to normal. On the other hand, if the symptoms persist and your health continues to suffer, you could be overtraining and heading for workout burnout. 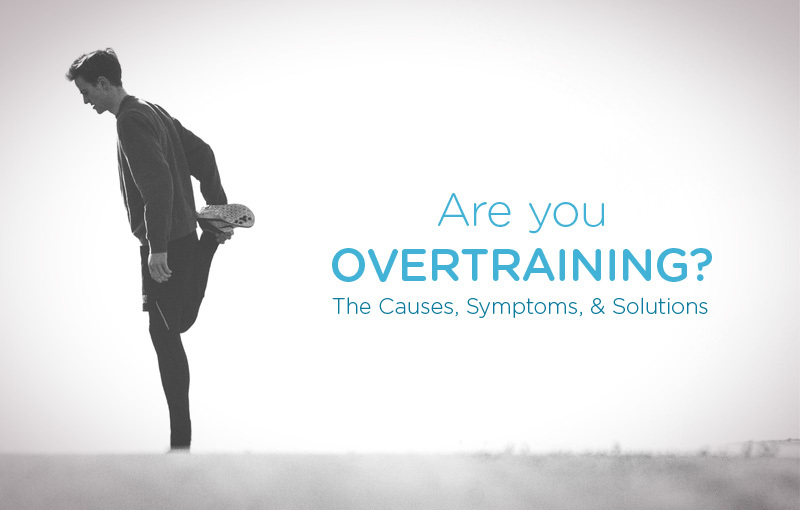 How can you tell if it’s overtraining? First, have your doctor rule out illness and then review this list. If you identify with more than 3 items on the list, then you are a candidate for Overtraining Syndrome. I feel exhausted most of the time. I don’t look forward to running. I often feel moody and irritable. I feel relieved when my workout is over. I feel guilty about taking a day off from running. I’ve lost my appetite (without changing my diet). I have experienced more muscle soreness than usual. My limbs often feel heavy. I sometimes feel I can’t complete my training workout. My normal sleep pattern has changed recently. I don’t enjoy running the way I used to. You are a female whose period has stopped or become irregular. You have lost weight without changing your diet. You have chronic colds or sore throats. You are suffering from overuse injuries. You have an increased resting heart rate. A training log can help you notice if you’re unusually tired or losing enthusiasm for training. It’s important to recognize those signals before they lead to injury. Monitoring your resting heart rate is another way to tell if you’re overtraining. A resting heart rate that is consistently five beats higher than usual is a warning sign. If you determine that you’ve been overtraining, rest is the first step to a full recovery. Even if you’ve successfully completed the training program before, other aspects of your life are draining your energy levels. A heavy workload or stress at home can take a toll on your body and mind. Take more rest days, reduce your miles, and make sure you’re getting enough sleep. A poor diet can also contribute to your body’s stress. Not eating enough carbs or drinking enough water will derail your training plans. Use this period of rest and recovery to supply your body with nutritious foods that will rejuvenate your body. When you return to training, remember to pack food and drinks when you go out for long runs or on hard training days. Easing back into training is not going to sabotage your marathon training. In fact, many runners achieve personal bests after an enforced cutback!